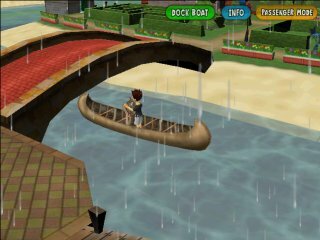 Wondering what kinds of fishes you can get from SocioTown’s waters? 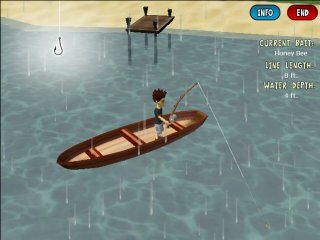 How about the basics of fishing? Check the rest of this article to see images and tips on how to catch these freshwater critters! There’s even a mystery fish surprise at the end of this post; maybe you can try guessing it. A huge part of this article is contributed by fellow Socian Flamerz. 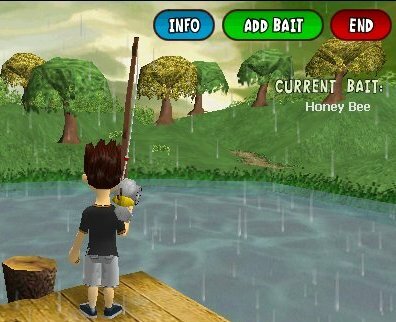 As promised, here is more info on fishing which will be arriving soon in SocioTown. Today I’ll be going over bait. 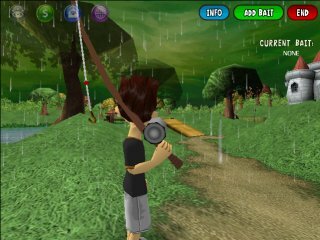 Fishing in SocioTown will be more complex compared to bug catching. For those who are concerned, don’t worry it’s a good thing since it will add quite a bit of depth, which will hopefully keep you entertained for awhile. One major component of fishing is adding bait to your fishing rod. If you look up at the screen shot, you’ll see an “Add Bait” button. If you click it, it will bring up the following new item popup. 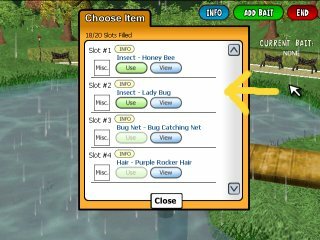 Here you can choose any insect to add as bait. Different types of insects attract certain kinds of fish. So it makes a difference what kind of bait you choose. This time, I chose the Honey Bee as bait. In my next blog post, I’ll go over casting and the actual fishing. Here is a sneak peak at one of the new features that will be available in the new regions. The screen shot is from the new region River Forest, which is an adjacent region to River Creek. 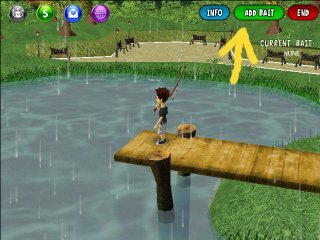 Over the next several days I’ll be releasing screen shots and info on the new fishing feature. It will basically be a How-To guide on fishing in SocioTown.